I spent the afternoon shredding apple trees today. That may sound odd to you, but these are the losers from the apple trials I am constantly doing, cycling through about 15-20 varieties per year. “Unworthy” varieties this year included Knobbed Russet, Brogden, Kidd’s Orange Red, and Lady. It is sweet sorrow to part with these, as I had hoped that they would have done well here, but alas, they were bland and mushy, the kiss of death here in hot Southern California. But cheer up, we have a new batch waiting in the wings for evaluation, many with a fine pedigree of tolerating heat and humidity. But nothing happens fast in the apple world, and it may be three or four years before we find out if they are destined for greatness in the tropics, or the shredder pile in late February. Besides shipping apple trees to the tropics of equatorial Africa, one of our nursery’s aims is to educate farmers on grafting in order to propagate trees both for their own orchard and to sell to other farmers. We include a DVD of our grafting videos with each shipment that have been well-received by the farmers who have never seen an apple tree before. 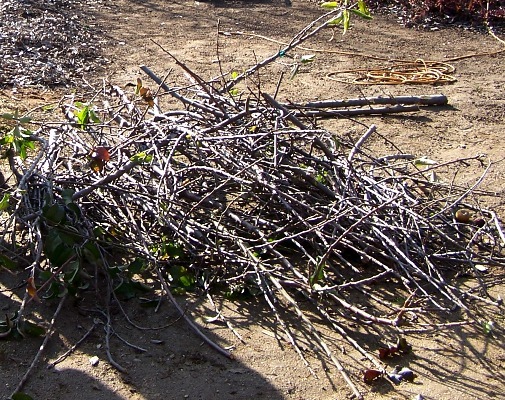 This valuable skill ensures that even if we’re never able to send them another tree, they will be able to use their existing resources to increase their orchard and have a side business to raise some much-needed cash. 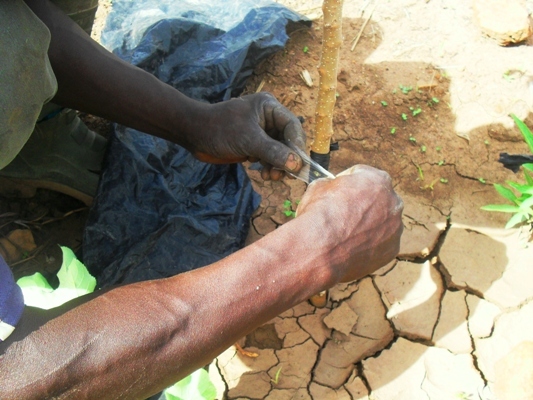 This fellow is doing a bud graft of Anna onto a rootsotck where the scion didn’t take, and sprouted from below the graft. By the nice caliper of the trunk the first season’s growth, the tree is very happy here and should be quite productive with this variety. The trash bag in the background is what he cut up for grafting tape, and that’s a piece of parafilm he’s putting over the bud (helpful, but not always necessary). He did a good job and the buds are starting to sprout out even before the host tree was cut off above the graft, a very good start. We thank God to be able to be a part of this. Forget the Superbowl ads, move over Doritos, the new Kuffel Creek video is out! 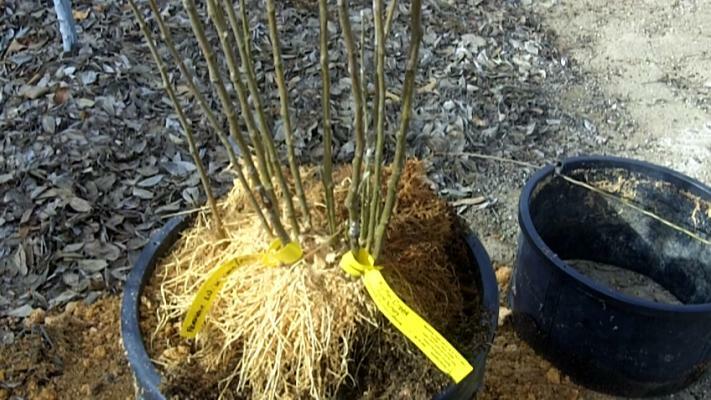 It’s on a topic I’m sure is a burning question for most people, “Propagating Clonal Rootstocks”. Here’s the answer for what to do with that one benchgraft that the graft didn’t take and it sprouted up from the rootstock below the graft.